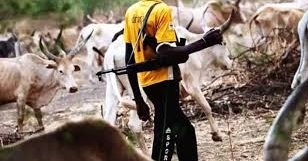 No fewer than 200 persons have been rendered homeless and several persons still missing after suspected herdsmen attacked Tse Sumaka and Tse Atorough Vishigh in Mbadwem Council Ward of Guma, Benue State. An eyewitness told our reporter that the herdsmen, armed to their teeth, invaded the villages and began to shoot sporadically and razed about 20 houses. The incident came barely two weeks after the formal launching of the Operation Ayem Akaptuma (Cat Race) in the state. “As we speak, I am in a bush with my family. They (attackers) burnt our house and attacked my brother with machete, I don’t even know if he is dead or alive, please inform the police,” the escapee said amid shriek voice. A resident Said. However, the police could not be reached at the moment for comment as efforts to reach the Benue command’s PRO, Moses Yamu could not yield any result at the time of this report.